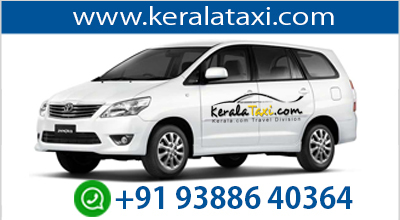 From ancient days onwards, India, especially Kerala has been home to many religious rituals. Myths and beliefs associated with our tradition and culture have been passed on from generation to generation. 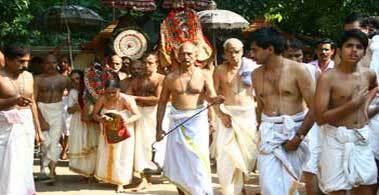 God’s own country in the south is known for preserving many distinctive rituals and ceremonies in the name of faith. Idol worship, animal worship, fairy worship, serpent worship etc are some of them. Worshipping living serpents, idol serpents and serpent gods are a common practice in Kerala that dates back to ancient times. Malayalees, the people of Kerala, have initiated a community who fear and revere serpents. In most of the Kerala temples, serpent shrines can be seen. Moreover, there are a few temples in the state that are dedicated to snake gods & goddesses. Among them, the most important is the Mannarasala Nagaraja temple situated at Haripad in Alappuzha district. This unique temple housing serpents as the presiding deities is located about three kilometers to the south-east of Haripad bus station. There are about 30, 000 images of snake-gods in the thick green jungle grove belonging to the shrine, which covers a total area of sixteen acres of land. Another unique characteristic of this temple is that the temple rites are all presided over by a priestess who lives in the 'illam' (a residence of Brahmins) situated on the northern side of the temple. People in the area believe that the tradition of snake worship is a representation of the strong bond that exists between human beings and the environment. The two main deities in the temple are Nagaraja (the serpent king) and his consort, Sarpayakshini. Devotees make many types of offerings and sacrifices to these gods. The most popular offering of the temple is 'Uruli Kamazhthal', (a practice of placing a bell metal vessel upside down in front of the main deity of the temple). These offerings are believed to restore fertility to childless couples. Couples who have been blessed with children will then come back to the temple for thanksgiving and make offerings of money and effigies made of gold, silver and copper, grains of all kinds, pepper, tender coconuts, plantains, melons, sandalwood and so on. On the day of Ayilyam asterism that falls in the months of Kanni and Thulam (September and October), all the serpent idols in the grove are religiously taken in procession to the 'illam' or the resident family household in the premises of the temple, and offerings of 'Noorum Palum' (rice flour and milk), kuruthi (a red liquid made of turmeric and lime) and cooked rice are made. 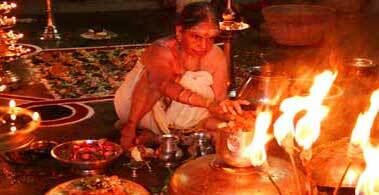 It is the oldest woman of the family who carries the idol of the Nagaraja. This priestess who is an ‘antharjanam’ or female Brahmin by birth, follows a life of absolute piety, abstinence and celibacy, even if married. 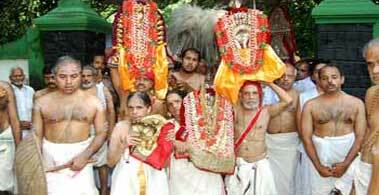 Thousands of devotees visit Mannarasala temple to worship and propitiate the serpent gods during the festival days. Married couples come from far and wide to seek blessings. On Ayilyam days, the Pulluvans (traditional folk singers) sing hymns in praise of the snake deity. Their services are considered as offerings too. The rituals connected with the Ayilyam ceremony form part of the most important festival celebrations of Mannarasala temple.